Michelle Obama is up in Bright Lights and on gigantic billboards advertising, she is speaking tonight at the new Rogers Place stadium in Edmonton AB Canada. The most influential cabal of Rogers Place is Katz Group and Daryl Katz, the latter a young liberal Chicago-connected Deep State-connected socialist with a net worth of $2.9 billion. Strangely, Michelle Obama is speaking here, given over-the-top hype at a time when 102,000 Alberta oil workers are unemployed, with ripple effect all through the economy to make this the worst economic period in Alberta history. With Michelle at the deceiving PR helm, the NWO is attempting to do the same to Alberta as it did to oil-rich Venezuela and break it down to poverty. 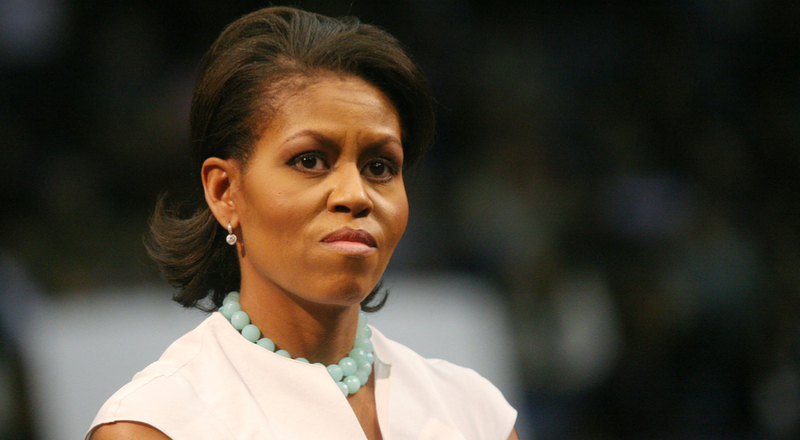 Michelle Obama will help to guarantee this as Alberta’s provincial election is April 16th. Last night in Roger’s Place stadium, a bomb-sniffing dog with a constable wearing an ‘EXPLOSIVES” vest jumped on every waste receptacle in Roger’s Place. Not reported in the MSM, this could have been in anticipation of Deep-State Michelle Obama speaking tonight, as thousands of unemployed Yellow Vests are openly opposed to the New World Order and the traitor Trudeau’s involvement with Obama. President Trump Issues Executive Order Protecting Free Speech!America's Greatest President Gives Greatest Betrayal!